This event will take place on April 30 – May 2, in Conrad, New York. 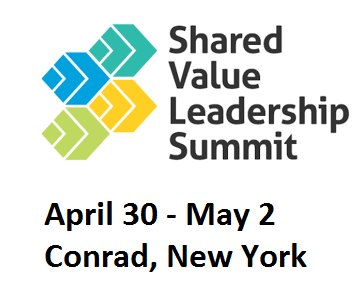 The 2018 Shared Value Leadership Summit will dive deep into the world’s greatest opportunities. This includes access to medicine, clean energy, smart technologies and workforce opportunities. 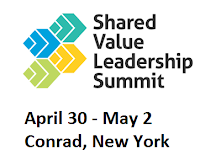 The Summit will be attended by the women and men who are taking shared value strategy from the boardroom to shared value reality on the ground. The list of speakers includes former US Secretary of State and Democratic presidential nominee Hillary Clinton. Alan Murray Chief Content Officer, Time, Inc. & President, Fortune Magazine Time Inc.
Click here for the agenda and here for more information or to register.